10pm on a Friday night. Geez, is that a bad time for Chinese television ratings wise? Never lived in Mainland China or ain't deep enough to its local media to tell you that, however I do have the Taiwanese perspective, if it shares any similarities, Friday Night 10pm time slot has been through years and still is a major primetime slot for television programming. Plenty of uploads on YouTube! Hehe. Just search for "极速前进第"
Just created a Links to Watch thread for those interested. - Loved how physically demanding it was, and with the 80 minute of run time, they get to fit a lot of RI in this. - No RB in this leg, curious how this affect a certain thing from Leg 2. Discussing the leg, and some other things, will be spoiler tagging just in case. - With Disneyland Hong Kong being featured in Leg 1 Hong Kong, I wouldn't be surprised if Shanghai Disney gets some plug during final leg in Shanghai maybe that could be a tip if we have someone on the ground, as that hasn't been filmed yet. - The first task at Disney was weirdly random enough that I hope other versions get to reproduce it in some way. The teams are tasked to look at some luggage contents, and from that mention anything that might tie it to something that happened in previous seasons of the race. It's a little bit anything can be accepted, but they way it was designed, some people were clearly overthinking. - As suggested on the initial press release, the season is subtitled - Raiders of the Lost Arc - so a bunch of items are being collected throughout the race, wonder how that will be played in the final leg. - I LOVED the detours. The math one if one is meticulous it can be a fast task to complete, also I loved that they were forced to do all the math by hand. And the beer infused with Chinese medicine ingredients was also very awesome. Enjoy! Y'all can discuss the show LIVE here as seems like we can easily see it. Best Hong Kong Leg ever? It really was great. And again, I don't understand Chinese at all, so I'm basically just trying to follow along, but I still very much enjoyed it. The dragon boats were a nice opening task. The crossing the lake was surprisingly physical. The incense ceremony was a nice Active Route Info task, but it could easily be a nice Road Block too. And the Detour was well balanced. I liked the medicine beer Detour better than TAR Canada's RB last week hehe. The little trinkets they collect should be interesting. Especially if they will need all of them on the Final Leg. I assume they have to remember to bring them back with them for every filming block. Was there a prize for this leg? Joe Cheng posted a blog about filming the Hong Kong leg in his Weibo. Of course, most can't read Chinese, but if you're curious, despite some weird translation you can run it on Google Translate to get the general idea, and his personal insights about racing this leg. Not sure if others are doing this, but his one pop-up in my notification tab, and looked like worth sharing. Yes, can't recall the complete details now. Once I get home, I'll re-run the video to grab the details. Nevermind, Wikipedia has it now. "One-night accommodation to Disney Explorers Lodge, and a one-year supply of Heiheiru drinks, with donations of supplies to the needy." If anyone who knows/speaks Chinese want to help, I can help him to make English subtitles available! It would go this way: you make transcript with translation from Chinese, and I do the timings and stuff (I have huge experience in subtitles, since I translate TAR and TARC to Serbian). By the way, it's fine if nobody wants to help, but I am in! Well, that was a very fascinating leg. Zhang Xiaocheng is held up in the Chinese airport for some reason, so Wu Minxia has to run the entire leg by herself. And she did fantastic! The assumption was that Deng Bin & Wang Xinyu would do a Speed Bump because they were last on the Hong Kong leg, but that turns out was not the case. Does anybody know if they received any penalty for being last in Hong Kong? That was buck. Zhang XiaoCheng got his VISA issued late, so he was essentially a day behind everyone else. So Wu MinXia was given the choice of racing by herself and risking arriving last or forfeit the leg, and start the following in the last place and would need to perform a Speed Bump in the following leg. Funny how they pretty much revealed during the pit start that this leg would be nom-elim. As an athlete herself, she said she'd never quit. Racing by herself notwithstanding, she was still able to place 5th, ahead of 2 MM teams. Surprised there was no penalty for the VarsityV boys that finished last in leg 1, they even got the perk to start the leg at 7th, as the "new team" started at 8th. It's all kind of weird production wise. The reasoning given to why ZhangJike and his dad were not at Leg 1, was due to him being at a tournament, so they were cast, just wasn't available for filming, so it's not a case on invading team like in season 2. And with teams starting only 2-minute part of each other, any potential difference in between was barely noticeable. Also even though they should've gotten a 2-hour penalty for quitting the 2nd RB, it was made moot, as they arrived last, and that penalty won't be rolled into the start of the next leg. The reasoning giver for Jike quitting the RB, was that he wasn't willing to try more times, as he hasn't completely recovered from a recent surgery. Wonder if we'll seen any backlash, though I doubt it, he does have a scary army of fans online. More on the casting changes, some changes on the SNH48 team, as LuTing takes over HuangTinTin spot. They didn't go into the reasoning for the change. So the vet is gone, and we got someone new racing. Considering how athletic were the MM teams in the previous season, a bit shocked how this season's are mostly fizzling. Wikipedia says that Lu Ting was no available for filming during the first leg. Why is there 2 non-elimination legs in a row? Bro. TAR Vietnam 4 had THREE in a row. This was a pretty good Leg. I liked that 2nd Road Block except for the first come, first served-aspect of it. Though it's okay since this was a Non-Elimination anyway. Neither English nor Mandarin Wiki has updated the TARCHIN4 page, so did this leg live up to the glories of S19E08 and S25E04, a.k.a. Northern Europe's greatest nation? P.S. Not that I expect the low-rent Mainlanders to have afforded it if even the Americans were unable to, but were the teams ever directed by clue towards Tivoli and/or den Lille Havfrue *? After 10PM Pacific Time (Don't ask why), you can check out this leg on our own Wiki. Which is very generic, on show, they were quite specific to why ZhangJiKe wasn't present for the 1st leg. Expected more details in both fronts. The interesting part is that the Beijing Press Conference that served as official team reveal, which happened one day after Leg1 was filmed, only featured the official SNH team with LuTing, I think the fact that she didn't participate in Leg 1 was even mentioned at the event. - The correct phrasing to the second part is "a one-year supply of Heiheiru drinks, WHICH can be donated to charity". It not a a both situation, rather a "either or". - The "a one-year supply of Heiheiru drinks, WHICH can be donated to charity" was also the (only) prize given at the end of Leg 2. Wow I sure would like that! This is a common occurrence on the non-English-language seasons. Due to less editors understanding the language, of course. ARI#1 - Bicycle to the Court Theatre Museum, i.e. almost exactly like the start of the Scandinavia-to-Benelux superleg from S19 with the added challenges of pedaling as one teammate sits inside the tandem saddle as well as not being provided with a map and hence having to ask for directions. RB#1 - Perform H.C. Andersen's "Ugly Duckling" to the standards of an endearing ballet conductor who could pass for the Nana/Great-Auntie of TARCAN2's legendary Meaghan Mikkelson (one of a handful of racers with Danish ancestry, the others being the saintly Jensen sisters Lena and Kristy as well as snowboarder-slaying hero Jeremy Cline a.k.a. Sandy Draghi's boyfriend-turned-husband). Detour - Redux of S19's "All Hopped Out", now relocated from the boondocks to resplendent Rosenborg Castle right in heart of the city, or S25's "Wedding Cake", except without the delivery aspect and instead converted to "pipe-frost these layers to the satisfaction of the chefs" at La Glace, CPH's oldest-standing bakery. RB#2 - Go to the Urban Ranger Camp (sic) on the outskirts, cross a tightrope-bridge with circular/separated planks, ring a bell designated by the national flag, and finally return to the starting point in the same manner as before, a classic fear-of-heights challenge. ARI#2 - Return to the inner city and board the GoBoat in order to search the canals for six scrambled letters spelling the name of the Pit-Stop, N Y H A V N (literally "New Harbour") - without the need for gratuitous bathing suits, it is loosely like S26's hot-tub Rebus from that nation always being mistaken for Denmark. Pit-Stop - Be greeted by an impersonator of H.C. Andersen in addition to Arisa Cox's "inspiration" for shoddy hosting. So leg 3 Stockholm, Sweden, is a exploration on the scandinavia from the past. Funny that we have both TAR Canada and China airing the same week legs that featured Viking themed tasks, also legs featuring Face-Off. Start of the Leg - Icebar Stockholm - Teams start one minute apart from each other, following the finishing order from the previous leg. They must retrieve their first clue which is frozen inside a block of ice using the provided tools. Every clue envelope from the this leg includes a piece of map, which is essential to reach the pit stop. The teams must nominate one racer to eat and another to collect the food. The Face-Off is two fold. First, both members of the teams that are competing in the face-off, have one minute to fill a plate with food and one HeiHeiru. After the plates are weighed against each other. The team with the heavier plate gets the right of challenge, meaning the "losing" team on the weight of the plate, must have the racer nominated to eat the lighter plate within 5 minutes to win the face-off. If the plate is not consumed in the time limit, the challenging team wins the face-off. Amazed how very few teams figured the proper strategy for this challenge. ARI - Plant a MidSummer Tree to receive your next clue. Following the traditional model provided, decorate a MidSummer Tree appropriate for the celebration. Must be approved by the judge. Viking Warrior teams must choose a piece of wood, work together to cut a slice to serve as their target and after that each member must hit the target with an Axe. Viking Scholar teams must translate the phrase " There is no bad weather only bad clothing" into Nordic runes, using the translation board provided with the stones that are over the field. That's one of my favorite uses of this power, slowing down and trying to get rid of a strong team that just happens to be behind you. - RB: "Who will join a skirmish?" Choose an opponent, face each other on boats, and the goal is to make your opponent fall in the water, using the provided "weapon". Teams receive a horse, which is probably the item they are collecting for Raiders aspect of this season. Hello! Is anybody able to find me the Hometown/birthplace and/or ages of Deng Bin & Wang Xinyu? "Teams would get to enjoy a Viking feast. One team member from each of the two teams would enter a room with a table full of food, and would have one minute to load their plates with food. After this, whichever team's plate weighed more would be served to their partner. If they could clean their plate in less than 5 minutes, they would be declared the winner. If not, the opposing team would win. Teams would receive a map piece along with their next clue. " So I guess the good strategy would be to fill your plate up as much as you can while keeping an eye on the other team. And keep your plate just a little less than the other team so they'll have a ton of food and no chance to finish it? Leg Start: From the Hotel - Following the finishing order from the previous leg, teams will depart 2 minutes apart from each other. Attention there's a Yield in this leg. Detour: 百里挑一 (Cream of the Crop) or 众里寻TA(他/她) (Looking for Him of Her - They probably decided to use PinYin "TA" to write it, so they don't need specify gender) - BTW those are the more comprehensible translations, however if we'd like to keep the word play aspect from the Detour intro it would Find One in Hundreds / Find A Person among Many. In "Cream of the Crop" teams must head to Gamla Stans candy store and find The Amazing Race marker hidden inside the packages of Polkagris Kokeri candy. If package is empty, the candy must eaten. They don't need to eat it themselves, they can offer the candy for other people, the only thing cannot happen is throw the candy away. Tasks have limited spots, with only 4 teams allowed to perform it at the same time. Teams will collect clue and a glass piece after task completion. Curiously Top 3 teams all choose Museum (which also happens to be all the teams to include Taiwanese racers in them - not important for the leg, but hard not to notice being Taiwanese myself), while the other 4 all choose Candy Store. I've never been a fan of needle in haystack tasks. I still have nightmares from the licorice task from TAR11. The candy task is not that different from the licorice nightmare, but the difficulty from the museum task is a combination of names on sheet written in Chinese, Chinese people having hard time reading cursive, which is usually how the signatures will appear. Route Info: Travel by Metro and head to Kungsträdgården to search for your next clue. And I keep loving the Chinese seasons inclusion of local metro stations. Last season was in Russia, this time the gorgeous Swedish stations. ARI: Head to Coop Market, collect plastic bottles along the way which must be inserted into the collection machine, the money awarded from the exchange will be donated to charity. The team that exchange the most, with get a mystery advantage / award in the next leg. RI: Travel to Swedish Film Institute (Filmhuset - Svenska Filminstitutet) and search for your next clue. Face Off - "King of Games"
RI: Travel to Skansen Park and search for your next clue. RB: 誰是能工巧匠 - Who's the Crafstman? Head to Glasshytten and using the glass pieces collected during the race as raw material, learn how to blow glass ball similar to the model provided. The glass ball must be approved to receive the next clue. There's only 2 stations, so only 2 teams can perform the task at the same time. Okay, really? Another case of this, where a team quits/skips the Face Off, so the last place team gets to skip the penalty? It makes no sense at all. The penalty is for the last team remaining, and the girls WERE the last team remaining. Also, SUPER (sarcasm) smart, putting a Face Off immediately after a Yield. Sad to see them go, but all the reasoning that they were a really strong team counted against them this time. A few interesting things I forgot to mention. When Qiang Zi & Zhang Xingyue met up Xiu Jie Kai & Alyssa Chia for the Face Off, they got to ask them why the latter u-turned them the previous leg. And they got to explain their entire thought process, basically explaining that they were the only choice from the strong teams racing. FanBingBing & Evonne Hsieh getting the Yield and being left alone at the Face-Off. Qiang Zi was explicit on the girls being a strong team and the fact that they wanted to play the rivalry to the end. While Joe Cheng basically explained that as the face-off was a mental task, they didn't want to risk facing them, as the the girls are clearly stronger than them in that aspect, thus the decision to EP the challenge. In this leg teams must collect 4 items including Chinese Brush, Writing Ink, Inkstone and Paper, which are essential to reach the pit stop. Teams will start 1 minute apart from each other, following the finishing order from Stockholm-2 leg. They will start the leg by taking a box which will be used to collect the items mentioned before and a card with a chassis number, which they must match to one of the 140 cars parked outside, to receive their next clue. RB - 谁能眼观六路 - Who can look six ways? 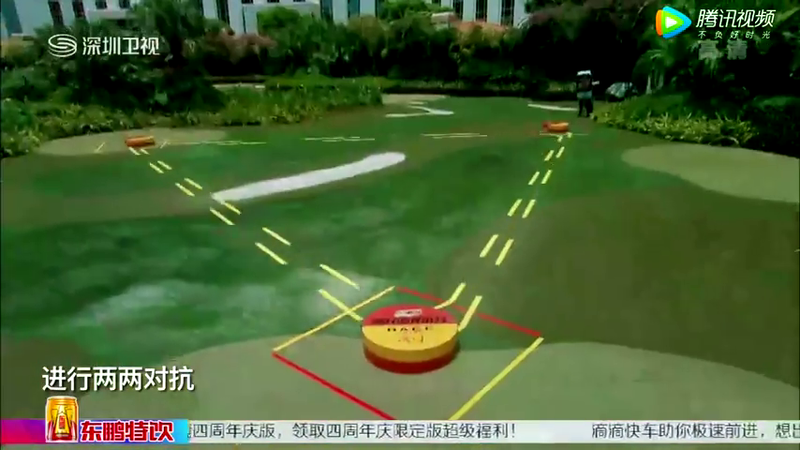 Teams can choose to be passengers or self-drive to 江淮汽車技術中心Jianghuai Car Technology Center. There the Rb performer must drive a S7 Car, in which all rear mirrors have been blocked, so one must rely on the car's 360 degrees navigation system complete the obstacle course in under 5 minutes to receive the next clue and one of the items that must be collected during this leg. Only two teams are allowed to go through the course at the same time. RI - Travel to 合肥岸上草原 - Hefei Shore Park? to search for your next clue. Face-Off - 勝著危亡 - The Victorious One. Hefei is a historical city that witnessed several battles in the past, thus this is a setting of a Tug-of-War battle over the lake. Teams must choose two locals to join their team for the face off. All teams must be composed of 2 men and 2 women, including the racers themselves. To win the Face Off, the winning team must pull the opposing team into the water to receive the next clue and the next "treasure" item. One is using old techniques to make paper (each team must make 3 sheets of paper or reasonable thichness - this task looks familiar), the other is to "fish" Crayfish (each team must fish 30). RB: 谁能入乡随俗 Who Can act as a Local? Travel to Anhui Huangmei Opera Theater, must learn a song and perform it succesfully. Rather curious what would be advantage a team might have gotten, had the team who won the recycled bottle challenge had survived the previous leg. 5th - Joseph Cheng & Wang Likun - Arrived 3rd, but got a 15 minutes penalty for something that happened during the face-off. I'm not sure if you can confirm this or not, but my impression was that Zheng & Wang got their penalty because they told their tug of war teammates to lose on purpose? It sort of reminded me of that controversy during the Olympics where the Chinese(?) teams lost on purpose to face weaker opponents and got kicked out. Was that it, maybe? Nope. That's not it all. The Face Off rule states that the losing side must drop into the water, but they didn't, that's the reason for the penalty. Overall, not a fan of this leg, it got some weird elements especially on the design of the 1st RB of the leg and the 3rd Face-Off of the season. The 1st RB clearly a sponsor feature task, makes me wonder why they had both racers inside the car at the same time. It's a task that could be done with the RB performer and a judge in the car. I kept expecting all the teams to get penalties, if they followed classic TAR rules. 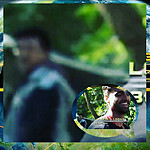 Because the main strategy that teams figured to go through the obstacles faster, as the driver was only allowed to use the navigation system to guide them visually, what ended up happening were the inactive teammate playing lookout role from the backseat, which allowed them to give additional instructions. That's part of the reason SNH girls and WuMingXia teams struggled the most. The girls cause they only learned to drive recently, and the latter, only her husband drives, she doesn't, so she couldn't help as much as a lookout. - Funny TAR joke - Joe Cheng mentioning that he doesn't usually drives, and he never really drove a car with automatic shift, as when he got his license when he was 18 was with a manual shift car. The Face-Off was brutal, seems like the losing team was kept under the summer sun on the plastic island while waiting for a new opposing team, the task while cool visually, it does provide little chance for a losing team to overcome the opponents, as they don't really get any real rest, while a new arrival are just running down, after a car ride with AC. - No Line-up start. Teams receive first clue at their rooms. RI: Head to hotel Lobby and vote for the team you want to be U-Turned. Most voted team must complete both sides of the U-Turn. Teams will vote following the finishing order from previous leg, then retrieve their next clue. The time difference from last leg, was actually applied on when each team departed. RI: Travel to Chinese Garden and look for the statue of Confucius and search for your next clue. ARI: 孔夫子曰 - "In the words of Confucius"
Must memorize a phrase said by Confucius and reproduce it correctly using Chinese Brush and Paper to receive your next clue and a "Toy Brick". Not all actors will say a phrase from Confucius and teams cannot repeat on writing a phrase already completed by the previous team. Detour: 金灿灿 Shiny Shiny Gold or 红彤彤 Bright Bright Red. In Shiny Shiny Gold, travel to clothing store in Little India, and change into Traditional Indian Clothing, than travel to another store where they must pick-up gold jewelry to wear. They must pick-up enough jewelry that weigh over 5kg. In Bright Bright Red, travel to Lau Pa Sat market, and change into employee uniforms, and must crack open enough Lobster meat to weigh over 500g (0,5kg). RI: Travel to Chinatown, and look for the Uturn vote result. If 2 teams get the same amount of votes, both are Uturned - I am calling Zhang Jike strategy of slowing 2 teams, as the inverse of Twinnies turning a W-Turn board into a Single UTurn. ARI：狮王争霸 - "The Lion King" - Travel to Club/Association?, learn and perform a Dancing Lion routine to receive your next clue. ARI: 乱花惭欲迷 - “Find the details by squandering your eyes" - Travel to Kim Choo Kueh Chang, follow the 3 pictures on the provided on a Sugar Phone, to find the 3 clothing items with matching prints. Put the clothes on one of the racers to be judged, must get approved to receive the next clue. RI: Travel to Sentosa and search for your next clue. RB：谁是最稳的? - Who is the most stable? At Singapore iFly, must complete 3 determined moves inside the wind tunnel to receive the next clue. RI: Assemble the Toy Model using the toy bricks received to find out the Pit Stop Destination. See, this is why I HATE how china films the show! I believe, I you (the celebrity) cannot be avabile for filming in that certain leg, then don't apply for the show. Why cant China just film in one like the others!!! No surprise it was a Non-Elimination of course. Leg 7 - Ho Chi Mihn City - Vietnam. All teams depart 2 minutes apart following the finishing order from the previous leg. ARI: Load 100 Shrimp baskets on the bikes and carry them to marked location. - Post Card Clue with address. 一千個名子 - One Thousand Names - Find among 1500 postcards, the only one with your name on it. Face Off: teams must throw and catch 10 dishes of "fried rice?" dishes over the fence and eat one to complete the challenge. The first team to complete it will win the face off. In 含情脉脉 (Affectionate Love) travel to Ho Chi Minh City Zoo and Botanical Garden and change into traditional Wedding clothing and complete photo-shoot from the provided model, with different backgrounds. In 喜氣洋洋 (Beaming with Happiness) travel to ?? and recreate 6 hand-made wedding invitations. ARI: Travel to Kingdom Karaoke (Same Location as TAR CAN 4??) - 卡拉永远OK (Forever Karaoke) - Learn and perform one of four classic Chinese songs that were rerecorded in vietnamese. Curiously there are two songs who were originally in mandarin, one in cantonese and one in taiwanese among the available options. The hardest challenge is that all are very popular songs in their original form, and memorize them in vietnamese without deviating to the original lyrics is really hard. Pit Stop - Ho Chi Minh City Hall - Received Scarf from greeter. 4th - Qiang Zi & Zhang Xingyue - Announced as last, because at that point there were only 4 teams racing, but as a team withdrew they were still in the race. 5th - Zhang Jike & Zhang Chuanming - Withdrew. Gave-up during Detour and never completed the following challenges. No RB or collected items during the leg. Reasoning for the withdraw is that Zhang Chuanming hurt is knee in a previous leg, which was making keep going really hard, so they chose to withdraw from the race. Came in late, 2 NEL, lost a Face Off, then if they quit for a lesser reason, for me that'd pretty much rank them up there among the worst TAR teams. Completely fine with them withdrawing. Was never really into their approach to the race. Wonder how hard casting tried to nab them, to even allow them to miss 1st leg due to prior commitments, as the impression I got is that neither really were too much into the race. Their greatest accomplishment is still that awesome play at the voting U-Turn, otherwise they were never as much as into the racing aspect. The dad did seem more enthusiastic most of times, but JiKe, demeanor seems to be stuck at "I don't really care about this" attitude, made it into something even more annoying, considering all the fan-girling posts I had to endure through weibo while tracking the filming of the season. My thought was, "this is the dude the people been fangirling about, WTF?". This was a pretty poor leg (except for the Karaoke task). I mean, really, you put the Speed Bump immediately before the Face Off? All that does is punishes whoever is 4th at the Face Off. And then to have another food related Face Off, making the loser immediately have a disadvantage because their stomachs are already full. The Detour was okay, if a little dull. I did get quite a laugh out of those two tourists that basically got drafted into being camera people. I prefer another eating Face Off than TAR Canada's sports Face Offs lol I'm surprised though that the teams really went at it to eat the very heavy sticky rice even if they were behind in catching their 10. I was expecting a team to just give up once the other team already starting eating. But teams actually finished their rice. Unless it was part of the rules. Of course, Wu Minxia & Zhang Xiaocheng were able to catch up and win the Face Off so I guess it was worth a shot. Can you expand on that please? I'd like to know exactly how TAR China presented that. You mean if the excuse was a hurt knee?? Worst behaved team ever from what I hear. Okay that's actually a brilliant play of the U-Turn. Yeah, they voted for Wu Minxia and her partner. Nice, they went to Kingdom Karaoke. The site of the Detour Kelly & Kate crushed and won the leg from. Despite Zhang Jike looking like he was being forced to be here most of the time, his dad was fun and seemed to enjoy everything. (He actually did much of the tasks.) 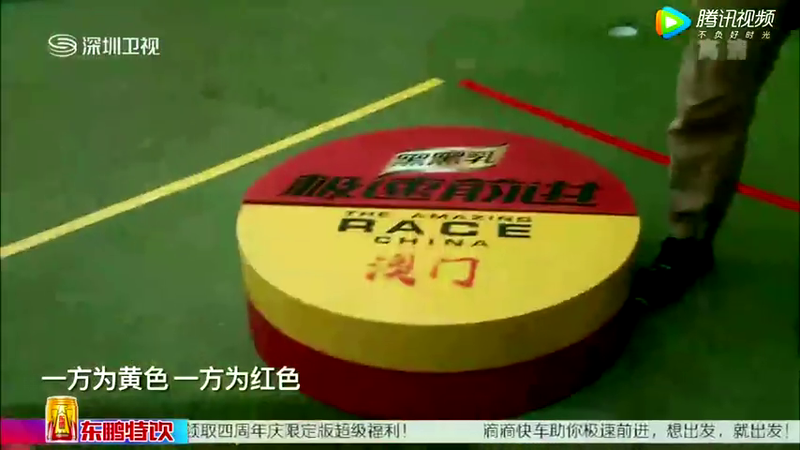 And they still actually did the tasks, except for the balancing RB which was also about Zhang Jike's pre-Race injury if I remember correctly? There are definitely non-celebrity teams on other TARs who have quit simpler tasks for even dumber reasons. And for as much as I can gather without understanding any Chinese, despite him being the oldest Racer and not in the fittest of health, Papa Zhang never used his age as an excuse to gain sympathy or an easy way out of a task. Unlike certain other TAR teams who have. Did the heat and exhaustion also play a part? The show really went out of their way to point out how hot it was. Including Zhang Xiaocheng turning the electric fans off + Papa Zhang sweating like crazy at the Detour. Not understanding what was going on when they left the Detour, I thought he was going to pass out or something. Always sad to see a team pull out from the race! what a sad loss we have a really good Final 4 still though, so I'm good! Is it safe to assume next Leg is Non-Elimination? I think the proper phrasing would be, it was planned to be an Elimination Leg, however as a team withdrew midway through the leg, it turned that into a Non-Elim. It was edited as an excuse. The editing of the entire sequence was all weird. Do have to agree with Peach on the worst behaved, as they left midway through a non-physical detour, complaining that the task was ill suited for 2 dudes, and the leaving sequence seems to imply that there was more to it, like trying to complain to the producers and then just heading back to the hotel. Then just simply disappear from the episode entirely, until almost the final minutes, when teams are heading to the Pit Stop, and placement board says that they gave-up on the leg, followed by filmed interview with them explaining why they dropped out. Considering that back in Leg 2, they offered Wu MinXia the option of giving-up on the leg, instead of racing by herself, then if this Vietnam leg were non-elim, I get the impression that by this reasoning they would be even allowed to return on the following leg if they so wished, which from most of their approach from the race, doesn't seem something they would have wanted. I am a tad bit curious to check out public reaction, but still too annoyed to go through Jike fangirling posts, to check it out. But I may be even more annoyed if there was no backlash, considering last year Liu Xiang got the silliest backlash, by being game with the race by going all in with the task that had him cosplaying Sailor Moon. Weirdly, at least from the the keyword searches and alerts I have saved on my feeds (haven't checked weibo), people seem to be more concerned about the fact that FanBinBin, might be pregnant, and questioning producers if having her team ousted early was actually planned on purpose. No results have come up on the Chinese Wikipedia page as they would have by now. Yes, there was. Unlike the previous 2 weeks, when I had a long weekend and a Friday off due to my overdue vacation week, so I was able to do more live-ish updates, expect these last 3 weeks to occur later. I only had time to post a link for one of the feeds, which I just updated with a better link, I might not even have time for that on finale week, as I have a work event, so expect further delays for that week. Well here some overdue stuff. Only starting my watch now, so will keep updating this for the next 90-minutes or so. Teams will depart 1 minute apart from each other, following the finishing order from the previous leg. Teams will find their first clue projected on the LED screen roof of a part of the park, which will project 12 different "clues", but only one contains the actual clue for their next task. The message itself mentions all racers at some point welcoming them to the resort, and also introduces the several attractions the resort provides. RI: Travel to Penguin World and search for your next clue. ARI: 企鹅趁重 "Weighing Penguins" - Feed and Weight 10 different penguins, which can be identified by their different colored bracelets. Two teams may perform the task at the same time, with up to 10 minute long rounds. RI: Travel to Whale Shark Exhibit Aquarium and search for your next clue. ARI: Travel to 澳門英記餅家（Pastelaria Yeng Kee) in Macau with the provided S7 car and produce 20 quality Almond Cakes to receive your next clue. There were 4 stations, but never more than 2 teams making the cakes at the same time. RI: Travel to Grado 'Mini' Golf and search for your next clue. Face-Off: 红黄大战 - Big Red and Yellow Battle. Someone pointed out it's same task already done in other TAR versions. Team ahead, have the right to appoint who will be competing, 1st team to have all 3 circles with their color wins. Each circle is formed by 2 pieces and their distributed as a wide triangle. All 6 pieces must be even for a second be in one color for a team to win. RI: Travel to Venetian Macau Shopping Mall and learn a opera piece, determined by the chosen gondolier, and perform it correctly during a gondola ride. Last leg there were no RB, this time around, no RB or Detour. Well, the way the Face-Off is built is kind off Rb-ish, as only one racer have to compete. Very weird leg altogether, with a bit too much sponsor interference. And the Cake Shop task could've totally be a RB, instead of another ARI. So was the Face Off that thing where you touch one square to change its colour, and all the surrounding squares change to an alternating colour, and the goal is to get them all the same? It's kind of a cliché video game puzzle. At least in the Legend of Zelda series. It's kind of a cliché video game puzzle. It wasn't just touching, there was actually effort flipping, the two pieces from each point that forms the circle. There were 3 circles, 6 pieces (2 pieces per circle) and 3 points to run around. SURELY this has to be the last non-elimination leg! It was an okay Leg. I do think better than last week's. I don't know how HaMerotz did the Face Off/Double Battle, but it's most likely like TARPH2 (both produced by ActiveTV). On TARPH, it was a best of three so both team members had to compete. If it was tied after two, then the winners of the first two rounds would go again for the 3rd to decide the winner of the Duel. I think I prefer it TARPH's way. Here on TAR China, it was definitely a simplified version. I think it would've been more fun and exciting if it was Best of 3. Also, there were 7 teams instead of 4 on TARPH, so there was a little more tension there as well. I do prefer TAR China's version of the gondola task over TAR29's since here the teams had to memorize the song. I think teams had a sheet of music to read from on TAR29? I also think the dive/aquarium task was better here than on TARA5 since teams had to swim around a little more and search for the animals which could be anywhere. TARA5's was basically guessing, but still tricky. There really is a heavy focus on Asia this time around. 1) Can you recap what their filmed explanation was please?? 2) Aren't celebrities PAID to do the race? Maybe they could only afford her for so many legs. Let's go on inverse order, cause the 2nd question is actually easier. 2) I believe they are paid, on a per episode basis, like they get paid in Asia for participating or being part of any variety / non-scripted show for a full day of filming, even if it's a short leg. Unless something changes on the way the show is produced, we'll never see a TBC leg, and that's why flying time is also never counted in this version. The following leg starts where it starts. Back on the issue of payment, I believe all participating celebs get a flat rate per leg (but it is very likely a generous flat rate), and mentioning the main sponsor during the race is also part of the contract. Fan Bin Bin case is also interesting, as she's featured as the headlining racer when the season started to be promoted back in march, with that she also got a bit deal out of this, to become the face of HeiHeiRu products. I don't think there was producer meddling in this, they were both clearly sad and disappointed when they were eliminated, that's makes even more annoyed by a team that remained just giving up on the race. 1) Was planning to add some caps, but they might actually make the post harder to read. If someone wants them, just let me know, and I can add them into the post. We should start in the middle. - After being last on the Face-Off, Jike and Chuaming are the last to arrive and start one of the detour tasks. They decide to go with the wedding invitation task. - They struggle with the heat, but are able to complete 6 invitations required, and submit them to approval. All 6 are denied. - Then we get via post-filmed commentary shown as voice-over: "It was a lot of hard work that went unrecognized. But the main thing is, there are certain tasks that are really hard to complete with two people of the same gender". - After one attempt, they go " I give-up". Then we get a brief cut, and see them boarding a taxi: "Let's go, Let's Go Home. Let's go back to the Hotel". Chuaming leaves the taxi and says "Let me find the producer. Let's not leave without notifying anyone". Then we just get written message on screen that they have given-up completing any other tasks from the leg, afterwards they simply disappear from the leg until final minutes. Near the end of the episode, we get an update on the placement boards, showing that they have voluntarily withdrawn. Then we go to final minutes, after the last team racing had checked-in. Allan explains that Chang Jike and Chang Chuaming have decided for Persional Reasons to leave the race. Chuaming: "This time Dad, really pulled us back, but it wasn't on purpose." Then they go into how he's an older racer than the other people participating, and how Jike learned a lot from his father, and he is still his biggest supprter. With hindsight, it's fairly positive exit edit. Imagine if they had made the baskets a Road Block with Chuaming most likely doing it. Yikes! But that's okay. They Raced well enough. Certainly put in more effort than non-celebrity teams on other TARs, tbh. Links to watch penultimate leg updated on how to watch thread. As usual will update if I find better links later on. ETA: Updated Leg 9 with a good link. And also ran a quick verification to the previous one, swapping the ones that have been taken down. As I mentioned a few posts ago, won't be able to properly cover it until later as I'm at work right now. This is the last elimination leg. Teams will depart 1 minute apart from each other, following the finishing order from the previous leg, they will receive their first clue，an envelope containing the leg money and also a piece of Buddhi Batiks Saree cloth, additional pieces will be provided after each task, completing it is essential to complete the leg. RI: Travel to Airbus Helicopters and search for your next clue. - Showing all teams negotiating with their taxi driver to stay with them the whole day, and only 3 succeding. This will probably come into play to whoever gets eliminated. RB: 谁能掌控全场 - Who can control Everything? RB performer will receive training and instruction, following that both racers will board a helicopter, and following the pilot's instructions a few basic moves must be completed within 20 minutes, including 1) accelerating, slowing the craft; 2) Steady Flight Around for 360o for 30 seconds; and 3) Raising and Lowering the craft. Must complete the tasks to the approval of the pilot to receive the next clue and another piece from the selected Buddhi Batiks Saree. Two teams may perform the task at the same time. Once time limit is reached, if all 3 tasks had not been completed, the team must go to the back of the line to try again, and complete the other tasks. - Zhang Xiaocheng who's performing the RB, mentions he's afraid of heights. Makes one wonder how certain racers would have fared in this task. RI: Travel to Taman Negara and search for your next clue. Blow darts are traditional weapons used to by ancient locals, each team must learn to use this traditional weapon, and using only 10 darts must hit 3 Pineapples to receive the next clue and and another piece from the selected Buddhi Batiks Saree. Each racer must at least hit one of the Pineapples to proceed, so it's not possible to just Flo throught the task. Two teams may perform the task at a time, so if the dart limit is reached, if there's a line the team must go to the back of the line to try again. Speed Bump： Board located at Taman Negara. Each racer must crack open a Durian, package the fruit gums properly following the provided model, then eat the fruits to complete the task and proceed with the race. RI: Travel to Taman Botani Negara Shah Alam and search for your next clue. RB: 谁想漫步林间 - Who want to cross the trail? Must be performed by the racer who did not perform the first RB in this leg. Must climb a 10m high tree, and cross the rope bridges between 3 trees to collect the clue pieces, to receive the next clue and another saree piece. ARI: Travel to Murut Long House, and join in the traditional dance. It's the TAR24 Leg 4 RB, as an ARI. Perform Lansaran dance, jump on bamboo trampoline to grab a TAR colored flag. Both Racers must dance and jump. Travel to Batik Workshop with all pieces from the Buddhi Batiks Saree collected during the leg, which will serve as basis of the Saree pattern that teams must recreate. What a competitive Final 4. Even though placements don~t really change, teams are always only minutes apart from each other. Pit Stop: Berjala Times Square Hotel Rooftop. Last team to arrive will be eliminated. I guess it didn't matter that Quian Zi and Zhang Xingyua had the help of a private car to reach the final ARI. So the Roadblock's pretty much the TARCan4 Roadblock except in a helicopter instead of a plane, from the sound of it. A full 360 degree banked turn. That's actually kind of a cruel Speed Bump. Durians are known as the world's worst-smelling fruit. How long was this episode?! That's a lot of tasks for a single-episode leg that's not the finale. All great tasks, though maybe a little bit of Linear Leg since a lot of the tasks were first come, first served/get in line tasks. Of course the teams never passed on their first attempts, so teams got a fair chance. Hehe, I only updated what I could understand. Numfar and someone else will have to update Wikipedia with the full details later I guess. The ep is on YouTube as always. This was an okay Final Leg. Last year's Rio Final Leg was pretty amazing and almost perfect so this year had a tough act to follow. Loved their period outfits at the start. They should've worn them the rest of the Leg. Puzzle was good. Tea time orders were just okay. Not a fan of the train ride in the middle of the Leg, but I get wanting to go to the Heiheiru factory for the Finish Line. The Final Task was TAR13's clueboxes task and I think it might have been a little watered down here. But still good as well. The Finsih Line was very fancy and a huge setup, but there was like no one there to greet the teams. lol Would've been nice to have the eliminated teams there at least, but probably not likely even in future seasons. All three teams were great and deserving of the win. 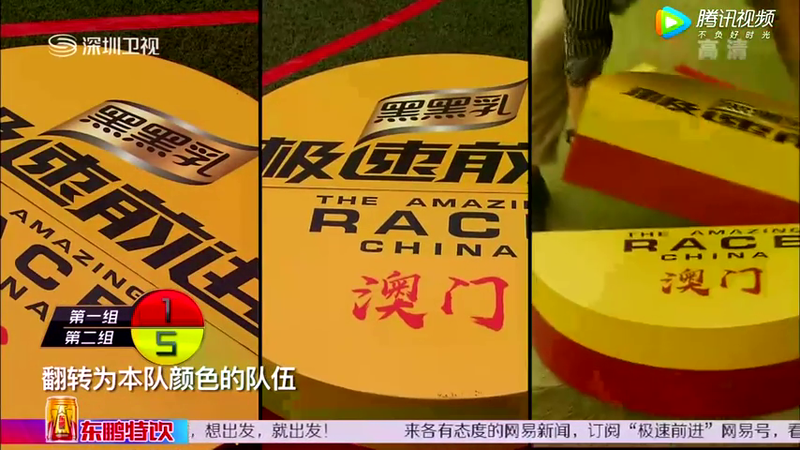 Overall, another good, fun and solid season of TAR China! Sorry for the delay guys. Had a 14-hour long work day, had to grab some shut-eye before trying to watch it. Some housekeeping stuff first. That was their standard 80~85-ish minute long episode, without ads, but with the promotional sponsor inserts. The finale at least seems slightly shorter, at least from the one I'm about to run now. Final City as informed since earliest of teasers is Shanghai. If someone missed a proper Shanghai leg from Canada 5, maybe we get a proper one here. Starting Point: Shanghai Film Park, with teams already dressed in classic early 20th century costumes. Alyssa and XiuJieKai won 5 legs, Joe and Likun been a strong team and MinXia and XianCheng won no legs but are actually locals. Teams will depart 1 minute apart from each other, following the finishing order from leg 9. The 1st clue is recorded in a Cassete Tape. ARI: 爵士春秋 - "All that Jazz"
Travel to Paramount Party Room and watch the jazz performance, and memorize the name of the 10 performers, which are written under their shoes. They must name each one of the performers correctly on the poster located outside, to receive the next clue. Performances happen every 5 minutes, teams may keep re-watching until they get the answer. ARI: Travel to China pavilion at Expo 2010, using the provided pieces, correctly assemble a DouGon mock-up structure, which is a layered Chinese architecture feature, to receive the next clue and a DouGon model. RB: 谁能纵横上海滩? Who wants to be at the beach? At the WH Ming Hotel, must ascend the building, with the voice controlled automated harness, and grab the 10 race flags glued on the windows to receive the next clue. The voice must be at least at 90db to ascend, then as it go louder, it will make it ascend faster. It's physically exhausting, as the 90db sound must maintained somehow, otherwise the harness will start to descend. Also the flags were not set closer together, that the spread of both arms would solve the issue of reaching them, so some ascending and descending to maneuver the direction is also required. RI: Travel to an old house at 114 Jiangsu Road and search for the next clue. RB: 谁知女人心? Who knows a woman's heart? Correctly serve the snacks orders for the 4 ladies at the table. The difficulty of the task besides getting the correct items, is the fact that ladies will only place the order in Shanghainese, which is another Chinese dialect altogether. With two Taiwanese racers performing the RB and only one local, MinXia had the clear advantage. As the entire order had to be correct, and the wrong items would not be identified, it wasn't a easy challenge. Added to the localness of the task, besides the old house setting, dishes were all famous local snacks. RI: Use the DiDi App on the provided smartphone to call for a car and Travel to Hongqiao Railway Station to search for your next clue. RI: Travel to AnHui Railway Station where they will find marked HeiHeiRu cars to take them to the company's factory. It basically adds a second city to this finale leg and features heavily the season's name sponsor. ARI: Travel to HeiHeiRu Assembly Line, and complete the memory challenge about the 10 legs of the race by finding the only correct picture for each clue among the 150 clue boxes available. Must obtain 10 correct answers in order to receive the final clue for the finish line. Racers must remain together during the entire task and cannot split-up. All teams together at the memory challenge was very exciting. So much about collecting the different items during the different legs, that played no role in the end. 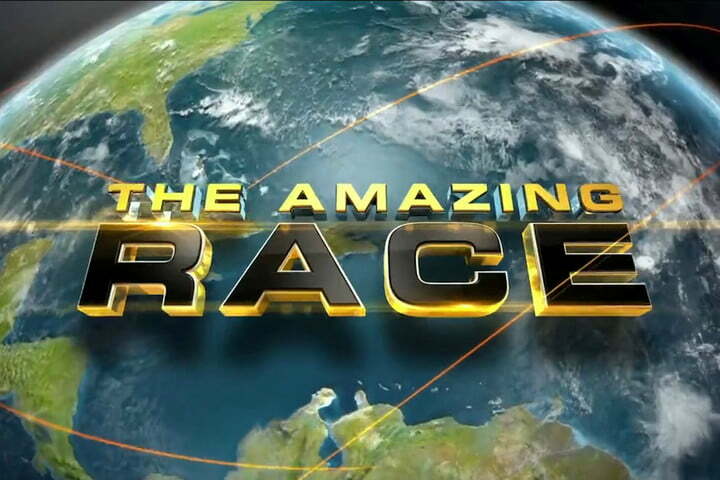 Finish Line: The clue just said, travel to The Amazing Race finish line. 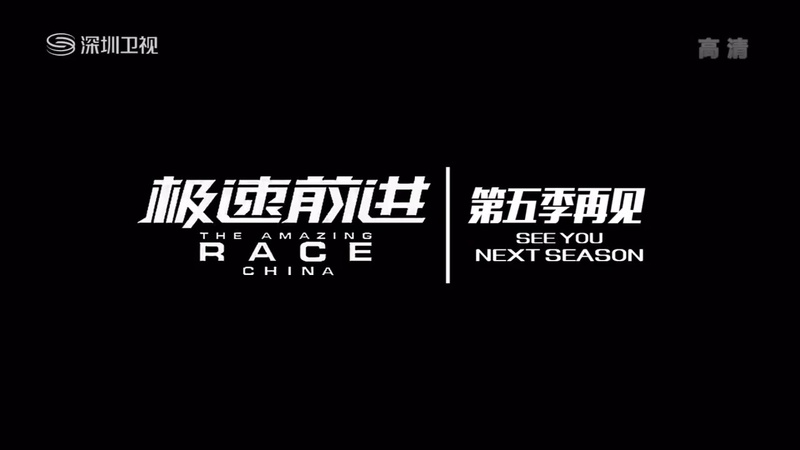 A great season, even if China produces the season in a very different way compared to most traditional TAR series, by featuring these celebrity casts, I am more unlikely to join naysayers when there some sort of different twist regarding casting. See you for Season 5 em 2018. Well, it was another interesting season of TAR China with many ups and downs. The things they do right are so damn awesome, but the things they do wrong are so euurgghhhh... Makes it really hard to give this series as a whole a solid opinion. The Wiki is up to date now, and as of this moment we currently have the most coverage of this season. We even have a nifty little map! A big round of applause to Numfar though for all his hard work. Without him, I would not have gotten this much work done and the wiki wouldn't look quite as sparkly. Thanks for everything you have done this year Numfar! Looking forward to a better Season 5! I should do the same for Vietnam 5 sometime, it still needs a lot of attention in the same way.